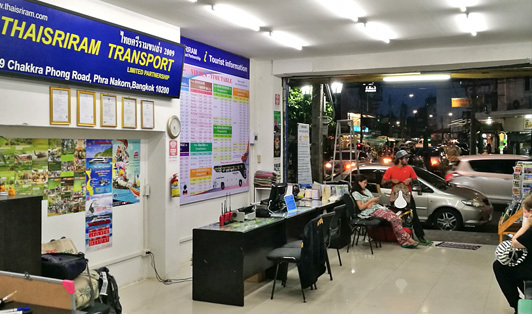 Chakkaphong Road has been the central spot for the Thai Sriram Office for many years and it’s been doing a great job in terms of providing bus transportation to a lot of amazing places in Thailand. Some of these places include Koh Chang, Koh Samet, Koh Samui, Koh Kood and more. We recommend you get there at least 30 minutes prior to departure time.